It's hard to believe almost three months has now passed since I started blogging about our potty training journey. My little one has come a long way since I first started blogging about the First Flush Program. I'm so proud of him and we've almost got this potty thing down. He is much more vocal when it comes to telling me when he has to use the potty (I had blogged about this in the beginning how he wouldn't tell me when he needed to tinkle) and he is now waking up completely dry after naps and 4 or 5 nights a week he is waking up dry as well. I loved all the tips and potty training tools from the Big Kid Academy site and my little guy loved the games! I do think that making potty training fun is key. Don't force your child when he isn't ready and don't put to much pressure on him/her to use the potty. Every child develops in their own way. Trust me, it will happen! Also, be consistent. In the beginning I was always making sure to put my little guy on the potty every hour or two. That is where the Huggies Big Kid Timer came in handy. Now more often than not, my son will let me know when he has to use the potty. But he still enjoys getting a call from his favorite Disney Characters when it comes time to use the potty. Another great game from the Big Kids App. 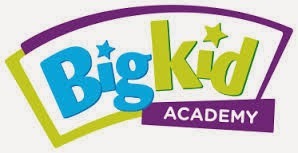 You can read more about the Big Kid Academy and various training techniques and fun activities like the rewards wheel, potty training charts, big kid timer, and other ways to celebrate big potty milestones by visiting the Big Kid Academy site along with Huggies Facebook and Twitter pages. 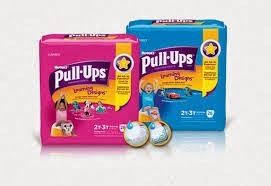 Potty training with the help of Huggies Pull Ups keeps getting better and better. Recently they partnered with The First Years (which are the makers of potty training systems and seats) so when you purchase a new The First Years potty training system, you receive a pack of Huggies Pull Ups to help you along your potty training journey! Sounds like a great deal to me. Check it out!